Hand washing to achieve ritual purity is an important part of many world religions. 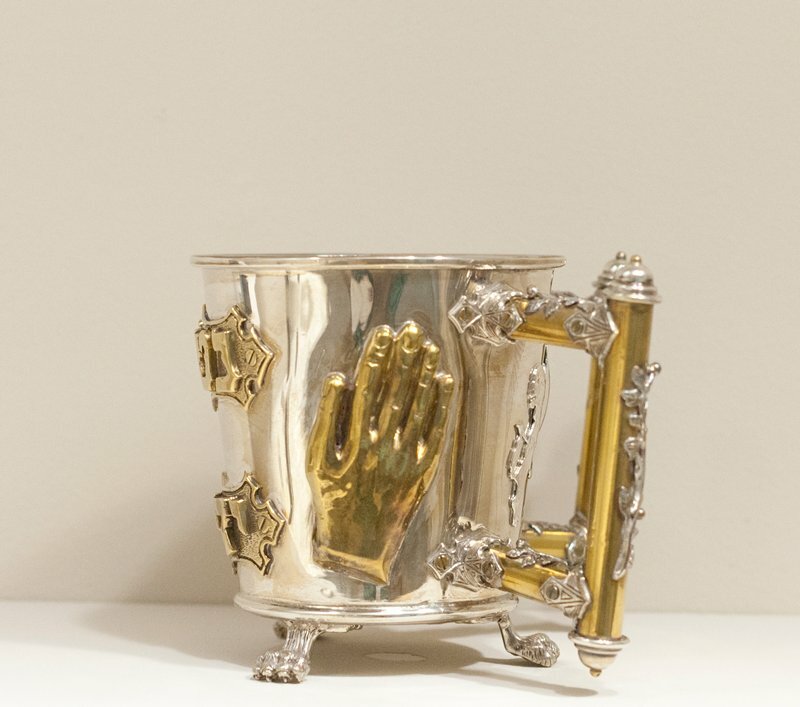 In traditional Jewish practice, one uses a two-handled cup such as this to wash hands before morning prayers, before meals, or before saying a blessing during important holiday ceremonies such as the Passover Seder. Depending on the tradition, one alternates pouring water over the right hand, then the left, two to three times.